FeatureXTract is a geospatial site-modeling system composed of both automated and semi-automated tools. These allow you to rapidly extract 3D buildings and related features from aerial and satellite imagery. FeatureXTract employs a simple split-screen interface eliminating the need for active stereo displays in 3D feature extraction. 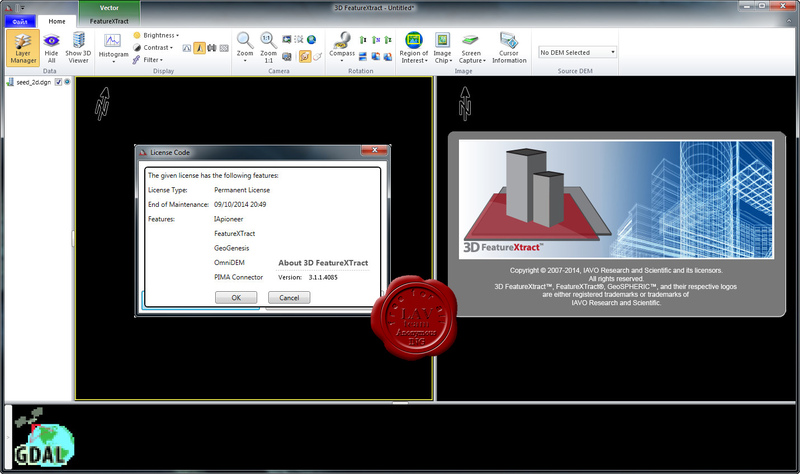 Using FeatureXTract you can quickly extract accurate 3D site models even on a laptop and export them for use in a variety of applications, including digital terrain database generation. With FeatureXTract, building an urban environment is now simple, rapid, and most importantly accurate. FeatureXTract is now fully integrated with, and offered as a module of, IApioneer.